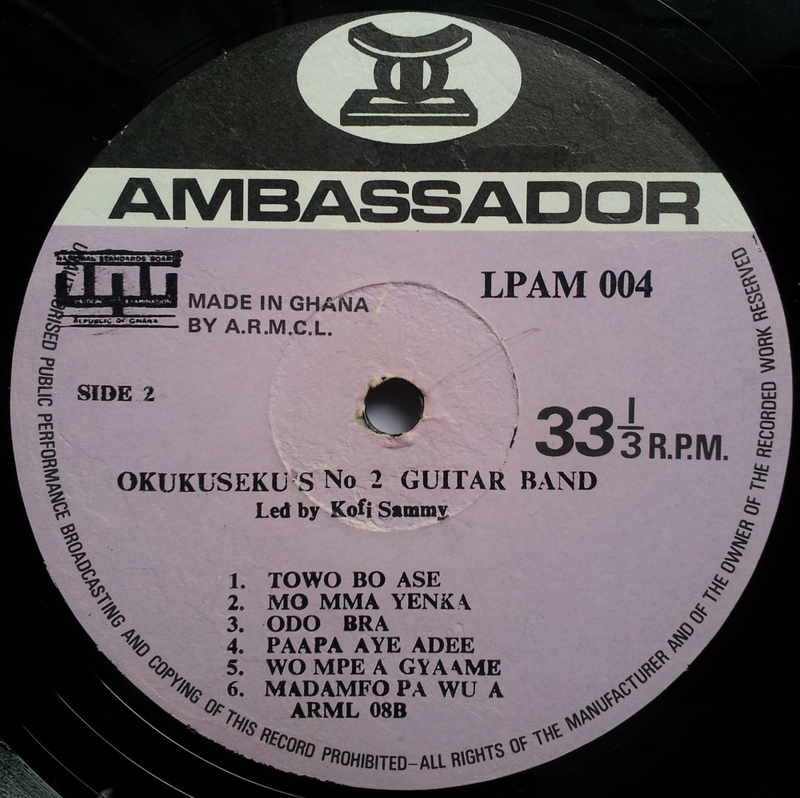 Back on familiar territory with some more Ghanaian Highlife from blog staple, Kofi Sammy and Okukuseku. 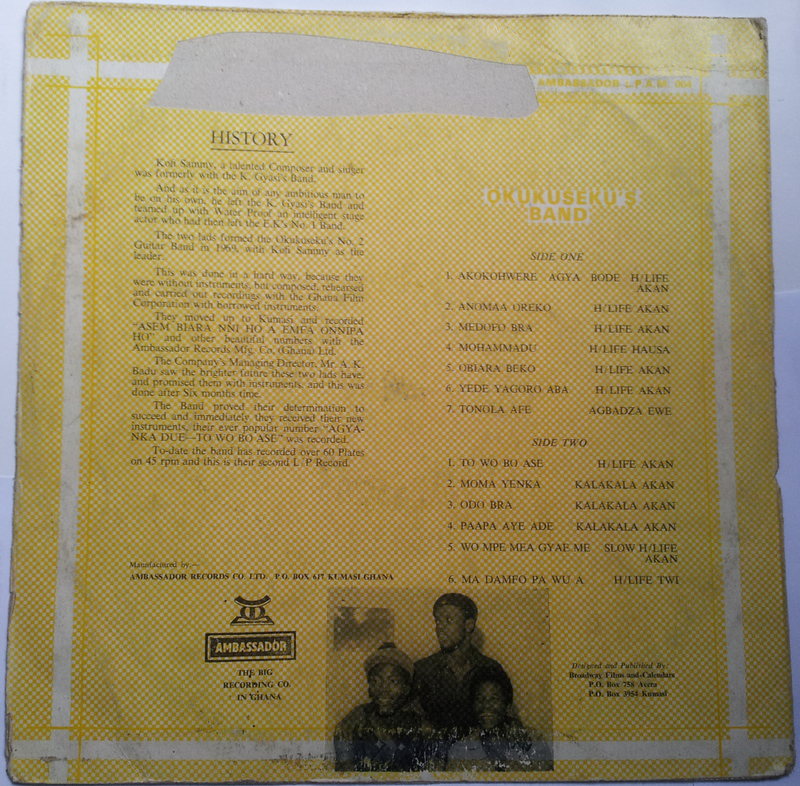 According to the sleeve notes the band was formed by Sammy along with Walter Proof, an actor and former member of E. K. Nyami’s No. 1 Band. They hit a hurdle when they realised they had no instruments to play! Thankfully, Proof’s past as an actor came in handy and they were able to borrow instruments from the Ghana Film Corporation and start recording. 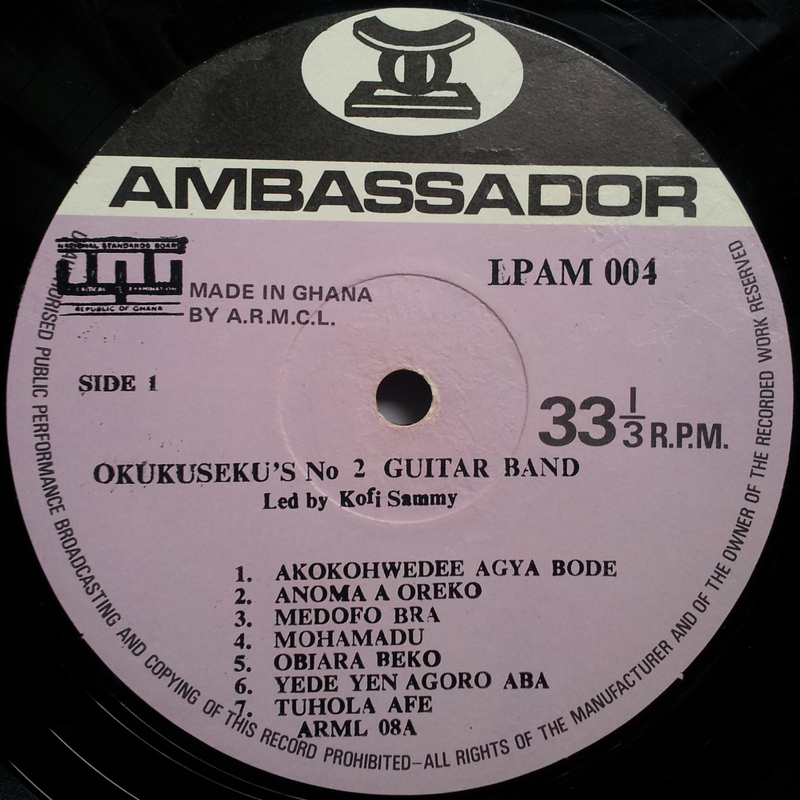 Today’s post is from their second LP; it appears they recorded over 60 singles and several albums making them one of the most prolific bands in Ghana at the time. Today’s selection is a medley of their songs on side 1 of the LP. Highlife bands appeared to do this regularly perhaps to showcase their ability and range as musicians. 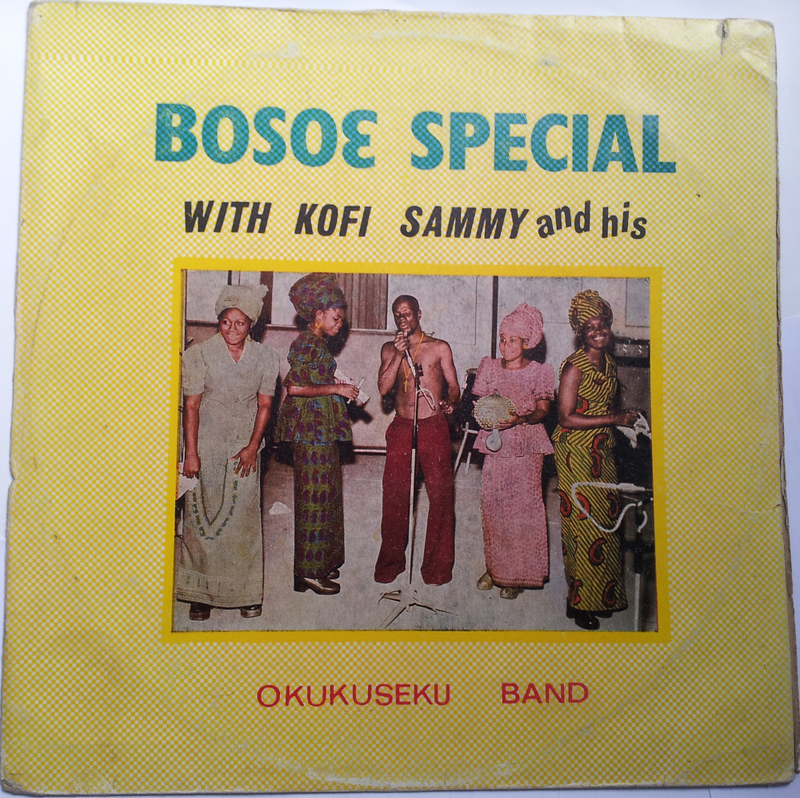 This entry was posted in Ghana, Highlife and tagged Ghana, Highlife, Kofi Sammy, Okukuseku by DJ Obruni. Bookmark the permalink.